The current version of Gravity forms Address Autocomplete is 1.4 and it was released on 20th May 2018. It was updated on 26th Feb 2018. 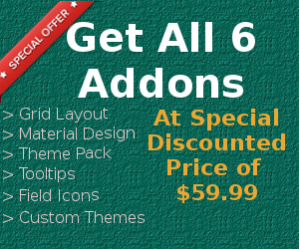 This addon lets you autocomplete the address or single line text field. It will show multiple matching addresses as a suggestion. 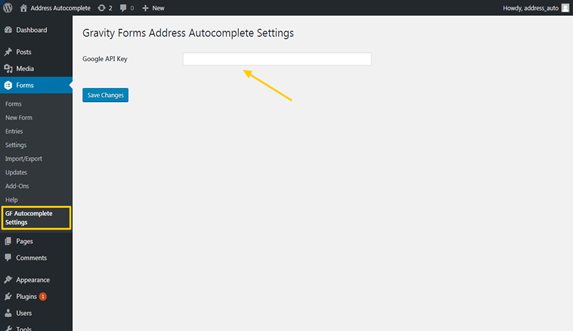 Having an autocomplete address field is convenient for form users as well as it increases the accuracy of them. The addresses are fetched directly from Google Places. If you use Single line text Field then it will fill the address as one line. 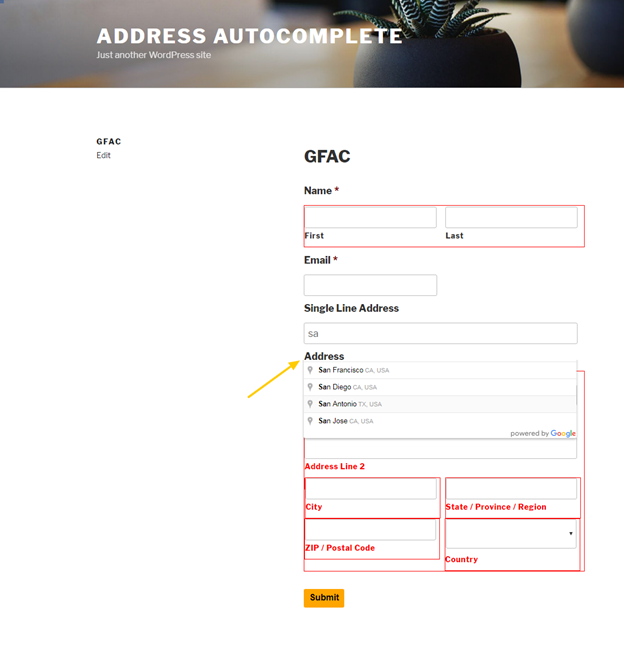 However, if you use the inbuilt Address field then it will automatically populate all the different subfields like street address, zip/postcode, city, state, country, etc. With the help of Address Autocomplete option, you can fill your form in a short span of time and it simplifies the form filling process. While filling the Address it will help you in finding the correct and accurate Addresses with suggestions. Gravity forms Address Autocomplete supports single Line Auto completion. 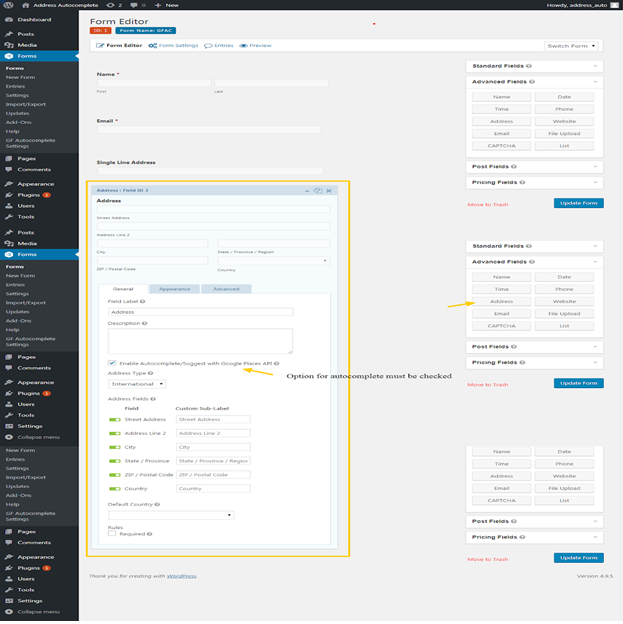 Go to the plugins options in backend and then install and activate the plugin. Add your Google Places Api key under ‘Gf AutoComplete Settings‘ Menu. Then go to the Forms and select a form to edit. Now add the Address field in your form from Advanced Field tab. Check the “Enable Autocomplete/Suggest with Google places API” option located under the General settings in Address field . If you want to restrict the address to a specific country then it can be done by selecting it under ‘Default Country‘ option. Now you can test the form in front end to see if it is showing the address suggestions. If you have used this plugin then do share your experience in the comments section below.